About 15 million people in the UK may be facing a bleak retirement according to a major new survey from the Financial Conduct Authority1. It recently carried out research into the personal finances of just under 13,000 consumers in the UK. 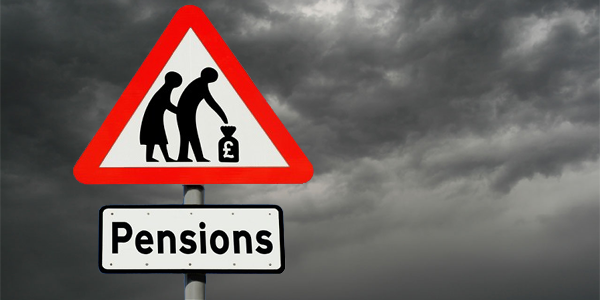 The Financial Lives survey found that 31% of UK adults don’t have private pension provision, meaning that they may have to rely very heavily on their state pension in retirement. The full state pension is currently £159.55 per week, but is only available at that rate to those who have a complete record of National Insurance contributions or credits. Particularly concerning is the number of people aged over 50 who are not contributing to a pension, and have only a few years left before they reach their likely retirement date. When asked why this was, 32% said they thought it was too late to set up a pension, 26% said they were unable to afford it, and 12% said they would be relying instead on their partner’s pension. There’s a gap between men and women too. Whilst 33% of men expect to retire on just the state pension, the figure rises to 53% for women. The report highlights that many people find pensions very confusing, and have no idea what they will have to live on when they retire, and, of course, the big imponderable question is how long they are likely to live. Few people who took part in the survey had a clear idea as to how much they realistically needed to save to build up a reasonable pension pot. The sooner you can start saving into a pension, the more time your money has to benefit from compound interest and the growth in the value of the investments held in your pension plan. If you leave it too late, you will need to make significantly higher contributions just to achieve a reasonable standard of living in retirement. Even small contributions made regularly can help boost your pension pot, and you’ll get tax relief too. This means that for a basic rate tax payer, a contribution of £800 is topped up by a further £200 from HMRC which is added by your pension provider to your pension pot. Don’t forget your workplace pension. If you save into a workplace pension, your employer should make contributions alongside yours, providing a welcome boost to your pension. So, if you’re self-employed, an employee, work part-time, run your own business or have accumulated pension pots with past employers, we can offer you advice about saving for a good pension. After all, retirement should be an enjoyable and fulfilling stage of life, not a time spent worrying about money. Next Next post: Will my workplace pension be protected?